The levels of expectations increase when the maker of a particular device is the South Korean Samsung. It seems like the Galaxy devices maker is stepping forward to start a new trend of smartphones having a size nearer to the tablets. Well, the company has come up with its Mega devices featuring big screen, nearly as the size of a tablet bit offering the feel of a phone. These devices are aimed on the mid-budget devices of the market. 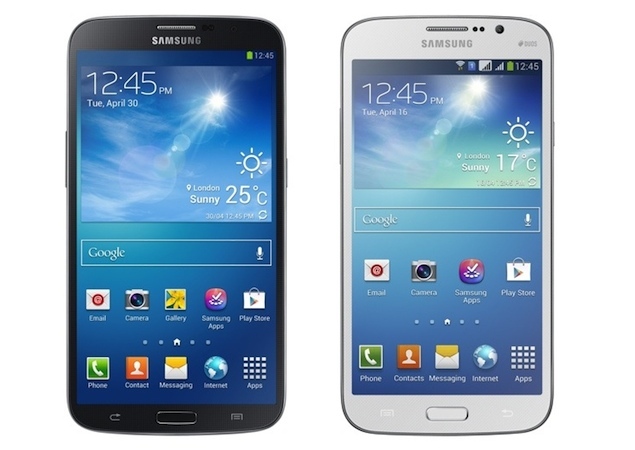 Let us have a detailed outlook of the specs, features and price of the Samsung Galaxy Mega. Samsung continues with its universal design that it has been implementing on its smartphones and now, it’s kind of boring. This Mega 5.8 device is fabricated with a decent build quality along with the polycarbonate plastic material. Its front panel gives a premium look as it is bordered by a chrome frame and is mounted with a diamond pattern texture. Below the screen, the capacitive Home, Menu and Back buttons are situated while just above the display, front camera, an earpiece grill and a sensor array are seen. On the right and left side of the phone, the power button and the volume rocker buttons are placed respectively whilst on the top and bottom the 3.5mm audio jack and the micro USB port are situated respectively. At the back, placed is the rear camera lens on the diamond texture mounted on the glossy plastic. Remove the lid at the back, and you will find the microSD card slot, battery and the SIM card slots. It measures 6.40 x 3.24 x 0.35 inches in dimensions and weighs 182 g.
The Galaxy Mega 5.8 is built with a 5.8 inches TFT capacitive touchscreen display which resembles a resolution of 540 x 960 pixels. This display features multitouch and is supported with a TouchWiz user interface. Like all the recently unveiled Galaxy smartphones and tablets, this Samsung device also runs on the Android v4.2.2 Jelly Bean operating system of Google. 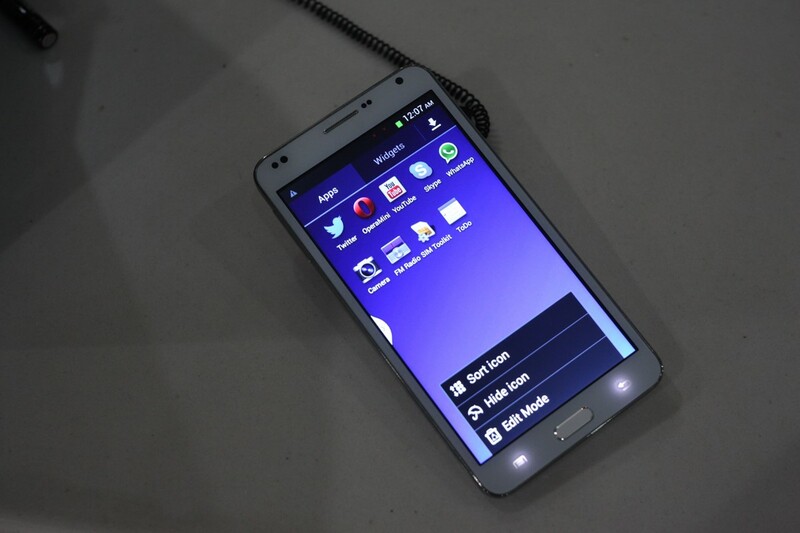 It is powered by a dual-core 1.4 GHz processor which would provide a good performance. 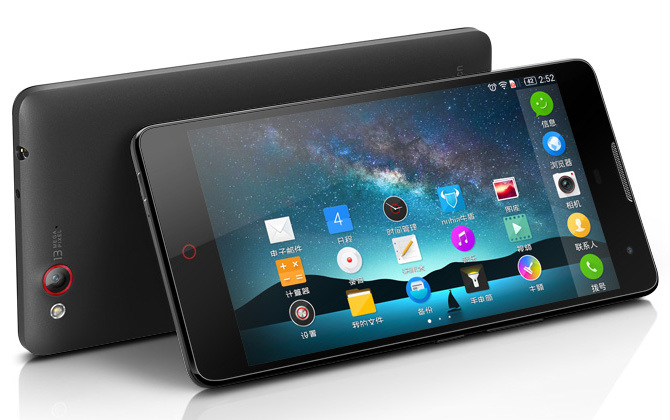 This Mega smartphone is enabled with an internal memory featured as 8 GB flash memory and 1.5 GB RAM. It also supports an external memory as microSD expandable up to 64 GB. This big screen smartphone is embedded with an 8 MP rear facing camera having resolution of 3264 x 2448 pixels and featuring autofocus and LED flash. The key features of this camera are touch focus, geo-tagging and face and smile detection. It is also facilitated with a 1.9 MP front facing camera supporting video calling. For connectivity, it is enabled with common features such as GPRS, EDGE, HSDPA up to 21 Mbps, HSUPA up to 5.76 Mbps, Wi-Fi, Wi-Fi Direct, Wi-Fi hotspot, Bluetooth v4.0 with A2DP and microUSB v2.0. The Galaxy Mega 5.8 is built with a decent design and has decent specs as well and is more inclined towards users who desire a big screen. This device is available at $557.78 in White, Black and Plum Purple colors.